In the last article I wrote in Long Island Tennis Magazine (September/October 2018 issue) on making a long-term development plan, the success of the plan was based on the accumulation of each individual session of practice and match play. In this article, I will focus on the efficiency and quality of each session of practice and match play and how to make the most out of each. It is the coach's job to plan the practice and execute it, and it is the player’s job is to be ready physically and mentally and give 100 percent. So at a very early age, the culture has to be set of what is expected of a player and what is not. These are the not written rules of a constitution. That's the oil of a car. That's the stimulus of the economy. Without setting this culture early on, efficiency will be low and there will be compromise. That's why development coaches have a very important job in building the framework early on that will continue to effect a player during their career. There is the belief that 10,000 hours of practice can make you great at anything. I would argue that what will make you great is the combination of genetics and high-quality practice that is both purposeful and systematic. Since we don't have much control of the genes with our player, then the goal becomes to make the most out of what we have. The way is setting the culture early on and building the right habits. 1. Preparation: Preparation is 24/7, it is self-discipline and self-awareness. It is what time you go to bed to have enough sleep and rest. It is how many hours early you wake up before your practice and match play. It is when you eat and what you eat before your match. 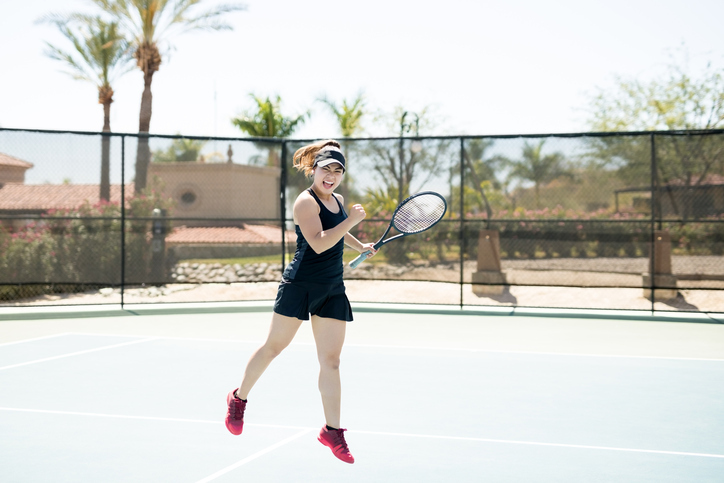 Preparation is your warm up before your match or practice, both physically and mentally, especially on indoor courts where practice time is limited. You must make the most out of that time the player has to warm up very well before. It is how you prepare your bag before a practice or match, to making sure your rackets are ready, your grip is fine, you have your extra t-shirts ready, your water, etc. It is very important for a player to feel confident and comfortable in a match and that will only occur if the player’s preparation is very good. The best way to build these habits is to give the player tasks so they will learn how to prepare themself. 2. High intensity: Tennis is a very high intensity sport. It is crucial to build that intensity at an early age in practices. Practices should duplicate match play intensity, unless working on technique. One of the mistakes that causes low intensity is exposing the player to over-training hours so they must pace themselves. Especially when working one-on-one, it is a good idea to stop the practice when the intensity is deteriorating, so that teaches the player that high intensity is a must in practices. 3. Focus: Like in anything, focus is a very important determinant of learning. That determines the efficiency of practice. It is the coach's job to make sure the player understands that and when their focus is lacking, the coach should stop the practice to make their case. Just like high intensity, focus can be lost due to long hours of practice, so it is crucial to find the proper amount of time of practice for a player to make sure high intensity and focus is not lost. Then, to build from that is the right approach. 4. Mindset: Among even the best junior players, one of the common things that I see is that they are driven to win. But they also comprehend the consequential thinking of hard work, improvement and winning. So they know that to get what they want, which is winning, they have to work hard from an early age. There is no compromise in their preparation. They are fully prepared for a practice session or match, and are 100 percent ready. They are open-minded and good listeners. They will try to get the most out of the coaches, and as a coach. They are not on the court to satisfy their parents either. Another common trait is confidence and positivity that they believe they are good and are destined for glory. They know there are no excuses, but only situations where the player who adapts better will have the upper hand. More important than anything, they have fun from this life even though it is a constant battle. 5. Attitude: When we hear the press conferences of the pro players, we hear something very similar. They always say they will give 100 percent. They don't say they will win for sure. Any player who spends some time in a tennis career knows that you can’t play your best every single match. However, with every match, you can make sure you give 100 percent effort. On the long-term, some of those bad days can turn into wins when you give 100 percent effort. That's the attitude to build in a player as early as possible. Practice or match play to give 100 percent, day-in, day-out. As painful as losing is, it is important to teach the player that losing is also part of the learning process and a positive attitude towards that helps to teach a lesson. Also, not going to extremes after victories and/or defeats helps sustain a long career. The way to do it is to remain calm and not going to extremes with the praise or criticism as a coach and parents after big wins or defeats. Zeki Tukel is a Tennis Professional at Christopher Morley Tennis. Zeki played number one singles for Mercy College New York and was ranked fifth in the Eastern Region. He was the under 18 National Champion in Turkey. With a reference letter from Nick Bolletieri, Zeki is a USPTR certified coach. He has 13 years of coaching experience and has coached some of the top players in the country.